Pandora vs Sirius XM: Which is Best? I recently had an epiphany on two recent two hour road trips that made me start to rethink my assumption that Satellite radio is more reliable than 3G / 4G radio. I drove from Los Angeles to Santa Barbara on the 101 Freeway along the coast that notoriously has poor cell reception. I also drove from Los Angeles to Palm Springs during rush hour and a heavy usage period. I tested both Pandora streaming on my HSPA+ G2 Android phone and Sirius Satellite radio that comes with a factory installed radio inside my Volvo XC90. Which did you think dropped fewer signals and had the best streaming audio experience? Your intuition would make you think the Satellite performed better but you would be wrong. T-Mobile's 3G HSPA+ network worked excellent the entire way along the coast and on the 10 Freeway without stuttering a song once. So, why is Sirius XM starting to lose signal in areas that you would least expect. Sirius also loses a signal in an area you would expect under bridges and in areas blocked by buildings or a parking structure. Its can be annoying at times when listening to Howard Stern who has funny punch line every few minutes. Is it their terrestrial repeater network that is being congested? Do their satellites need an upgrade or is it interference? My speculation is that Pandora does a better job of downloading more content and caching songs ahead of time. Pandora caches songs so when you enter areas of poor cellular strength you have radio content to stream. Sirius on the other hand only caches a few seconds of the song or show and therefor if you lose signal you are likely going to lose some of the content. I also tried something new using my cars new Bluetooth streaming feature that sends audio from my phone into my car stereo speakers. I used the Pandora app on my G2 T-Mobile phone and it work great. Keep in mind I have an unlimited data plan with T-Mobile so I am not worried about going over my data plan. Pandora streaming doesn't use as much data as you'd think so it begs the question, how much data does Pandora use on cell phone? In conclusion, I think that 3G / 4G / LTE streaming in the car radio has a lot of promise in the future as more consumers realize its pretty easy to do. However, carriers are going to have to be more lenient and transparent about data caps and usage for customer in order to not scare people off. Fore those who have unlimited data plans enjoy your Sirius or Spotify mobile apps as much as you want. The experience is going to have to be cheap for the masses to use it. Therefore, other services will have to be embedded into the car radio like Direct TV, Navigation or OnStar emergency services in order for consumers to pay a premium. We have been noticing a lot more Sirius XM radio signal drops in the last few months. I was hoping to get a clear technical explanation of why this might be happening from someone knowledgeable at the company. However, my attempts at reaching the appropriate person at the company have been unsuccessful. So I thought I would make a blog post about the topic and hope that someone will find us to explain. The radio signal seems to drop in areas with a clear view of the sky and where you would least expect it. The signal usually only drops for a few seconds but then it catches up. I live in Los Angeles and apparently thousands of other people around the US are experiencing similar problems. 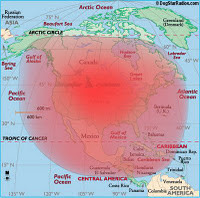 I wonder if its a factor of living on the coast of the US? Do people living in the center of the US have better reception? I would be curious if any truck drivers can tell us what they experience driving across the Country. We have two Sirius receivers and one is installed as an aftermarket on the dash. The other Sirius receiver is factory installed in Volvo XC90. However, the older aftermarket receiver seems to work the best and the newer more expensive factory receivers seem to drop signal more. We have conclusive evidence of this since we have leased two Volvo XC90's in the last 6 years. It would NOT surprise me if Sirius XM management is being cheap with their satellite signal upgrades or terrestrial repeaters on the ground. It appears Mel Karmazin is trying to screw Howard Stern out of promised money in his contract and now Howard is sewing him. Sirius is no doubt a penny pinching company it wouldn't surprise me to see a class action law suit if the signal problem gets worse for consumers. One satellite radio company in the market doesn't bode well for competition and the company's stock price (Nasdaq: SIRI) is not performing well and has a ton of debt. AT&T, Verizon and Sprint are getting ready for the huge influx of Patriots and Giants fans for Super Bowl weekend in Indianapolis. The whole area will experience and huge increase in extra cell phone traffic. 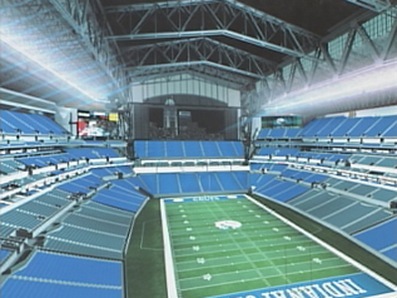 Lucas Oil Stadium holds 63,000 people and it is highly likely there could be 25,000+ iPhones simultaneously trying to share pictures all at once. The big question is can the carriers 3G and 4G LTE networks handle the capacity? We will be at the Super Bowl in person to find out and share with you our experiences. Last years Super Bowl in Dallas it was reported that numerous fans complained about the cell coverage inside Cowboy Stadium for the Super Bowl. Most networks just don't have the capacity to handle the traffic all at once. It still surprises me that stadiums have not installed their own Free WiFi networks inside the stadium for fans. Carriers often partner with the stadium to install WiFi / DAS networks in venues like this in order to enhance wireless connectivity. We would love to see more PR on this issue from all the sports leagues including the NFL, NBA, NHL and MLB. AT&T has made concerted efforts to enhance the network in Indianapolis. Not only are they upgrading the network but they are actually showing customers on a pretty map they call AT&T MicroSites. One of the other things Patriots and Giants fans will see are these "cells on wheels," which are also called COWS. 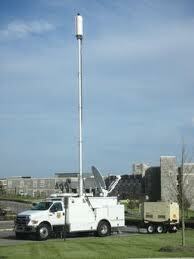 They are trucks with portable cell towers on top of them. You'll may also see devices hidden in parking garages and other places that will also boost cell power. Months of planning have gone into the upgrades. "Over the last year, we've made more than 500 improvements in our wireless network alone here in the Indianapolis-metropolitan area," said George Fleetwood. AT&T isn't the only wireless provider upgrading its network ahead of the big game. Verizon has spent $159 million on upgrades in 30 locations around Indy. Sprint has also beefed up its coverage with several cells on wheels along with major added capacity inside Lucas Oil Stadium. I have talked with several people who have recently been experiencing iPhone and Android smartphone issues with the recent Google+ mobile app. After installing the Google+ app their phone battery life mysteriously drains very quickly. Google+ has a lot of potential and I like the application a lot on my computers but the phone still needs some work. The instant photo upload feature is awesome on the phone over WiFi but the application drained the battery too much to keep it on my G2 phone. Everyone I talked with removed all of the notification and instant upload settings on the phone but this did not solve the problem. Therefore, there must be something more running underneath the application that users cannot control from the application settings. I have also read several blog posts including this one that Google+ contributes to 37% of the phone battery drain. Most applications on the phone take up around 10% of the battery drain so this is abnormally high. If anyone has any further comments on the Google+ iPhone or Android battery issues please comment under our Google+ phone battery discussion or under the comments below. We would like to be confident this issue is resolved before re-installing the app back on the phone. Deadcellzones.com has just started using Google+ in an attempt to engage further with readers and red light camera database contributors. Please feel free to post links and articles that might be helpful to our database or for changing laws. 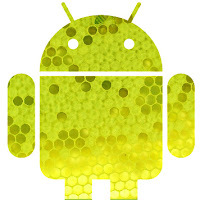 You can find Deadcellzones.com Google+ here and don't forget to add us to your circles. I also encourage you to follow Jeff Cohn Google+ as well. DeadZones.com Twitter and Deadcellzones.com Facebook should also be followed if you use them for actively as well. We are impressed with what Google has launched so far. Its faster and less cluttered than Facebook but hope they encourage people to shorten posts like Twitter does with 140 characters. One of the key points for me though is that it is very intuitive and more flexible for filtering views. I think Google+ will eventually become the platform for business networking and Facebook will become the standard for friends and family networking. Our audience tends to be a bit more techie so the Google+ platform might be a nice home for our contributors. Google+ is not a Facebook killer but simply a supplement. If you are a heavy Google users for search, email and advertising like we are then enjoy it for the future. 1) Do LTE phone batteries last long enough? I have heard from several customers that 4G LTE battery life is very poor. 2 hours is just not enough and battery efficiency must improve in order for LTE to take off. 2) Are LTE data plans too expensive? Data caps and prices that start at $30, $50 and $80 per month for data that is not unlimited. 4GB, 10GP and 20GP seems like a consumer trap to me. Without more transparency of data usage this will never work. 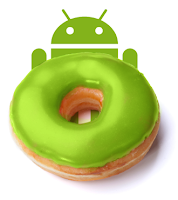 3) Verizon sold 15M Android phones in Q4 and 10M iPhones but its not clear how many are new customers. 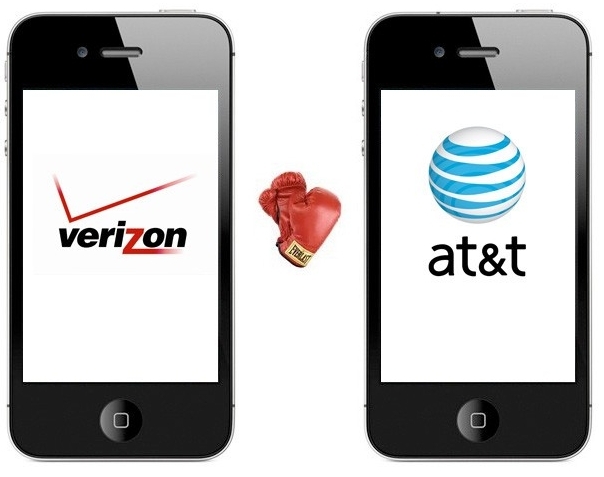 Verizon's iPhone 4S is not LTE and most consumers might not be aware of this. 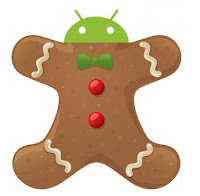 Many of these Android phones are likely 4G LTE but management did not make it clear how many. 4) Was LTE aggressively rolled out in order to try and steal customers from other carriers like AT&T, Sprint and T-Mobile? I am not sure this is really happening and think AT&T might feel ok about its more conservative approach to rolling out LTE. Verizon's stock price dropped after earnings and this could be the result of poor shareholder guidance going forward. 5) Verizon says they have a lot LTE new products coming out around Healthcare and in Automobile but this sounds a bit too early in the consumer adoption cycle. These products will undoubtedly be wildly overpriced and not for the masses. 6) Did Verizon overlook that most consumers simply want to use their smartphones and iPad tablets on WiFi and don't need 4G LTE? 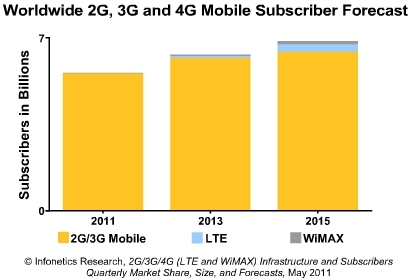 3G HSPA+ data services might be plenty of speed for the 90% of the wireless market. In summary, I will not be bullish on 4G LTE services from any carrier until phone batteries will last up to 8 hours, data plans are unlimited, a cross-platform killer app like Apple Facetime exists, data networks are not constantly congested when you need it most and location based advertising starts subsidizing expensive phones and data plans. Are LTE Phone Batteries Ready for Primetime? Apple now how the power to do what is right for consumers. Its about time that consumers have the ability to switch to any LTE carrier without having to buy a new phone. The United States desperately needs a way for consumers to choose a carrier not by quality of service in their region and easily switch if that service changes. Most mobile phone consumers around the World have the luxury of picking their smartphone first and their carrier second. The United States is a bit backwards and the carriers control and subsidize the handset costs in order to lock customers in. However, this could all change if Apple launches the iPhone 5 that is carrier agnostic. LTE is designed around the World to be cross carrier compatible. However, the US carriers seem like they are structuring the technology of phones to once again be incompatible. The Government and FCC must regulate to make sure that LTE is compatible across carriers because consumers want to pick the best service in their area. Increased competition is what LTE needs in order for consumers to get a fair shake. I also really hate the way carriers are currently positioning the draconian "data caps" and screwing consumers. This really ticks me off and is not a good sign that mobile consumers are going to have many choices in the future. The FCC needs to get involved in this process and make sure LTE phone compatibility is achieved. Sprint and T-Mobile better hold off and stick to their unlimited data plans because I will never sign up for a data plan or contract that has data caps. I am not convinced that LTE is that much better than HSPA+ and will have to wait and see if tablets are the reason to upgrade from 3G to 4G. 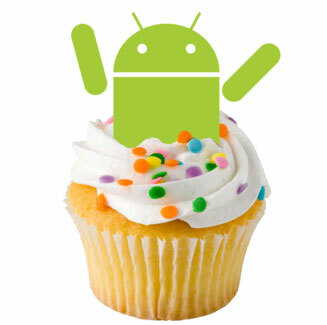 What Android Version Do I Have? Android is a mobile operating system developed by Google used for developers of smartphones, tablets and netbooks. 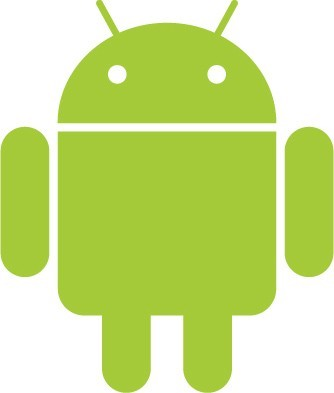 Every carrier today including AT&T, Verizon, Sprint and T-Mobile use some derivative of the operating system on their Android phones. Unfortunately, the complexity of Android versions on the market has made marketing the phones confusing to many consumers. Unlike Apple which has a closed development platform, Google has an open development platform that allows bleeding edge developers and manufacturers to stretch the limits of the software. Carriers are typically several versions behind rolling out the new features of the system. 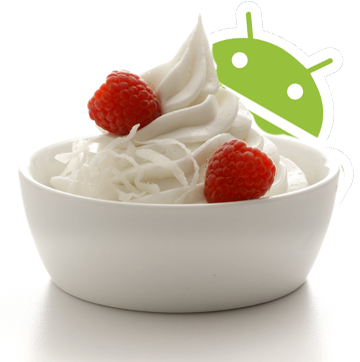 If you are wondering what new features have been added in the new Android version see this link of Android version features. 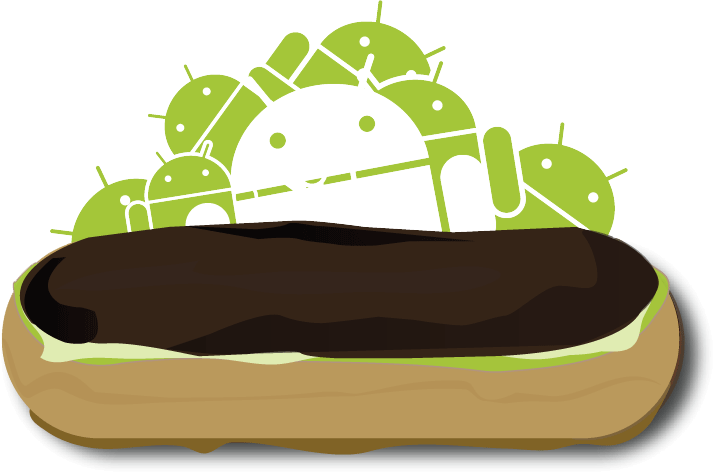 It can often take up to a year or more of testing before the new versions are automatically downloaded and upgraded into phones. You can also check under System Updates under settings to see if you have any updates available. Is 2 hours of battery life compelling enough make you want to go out an purchase a new LTE phone? LTE stands for Long Term Evolution and is a new standard beyond 3G which makes the download speed twice as fast as your 3G HSPA+ phone. 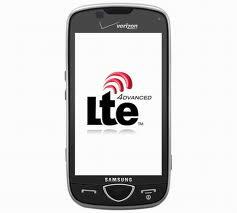 LTE is an alternative to WiFi for downloading content when you are out of the home or office. We all know how WiFi drains your battery and it appears the LTE is going to drain the battery even faster. Smartphone batteries need to last at minimum 6-8 hours without a charge and 3G HSPA+ phones can barely do that today. LTE phones were a big theme a CES 2012 but I am a bit skeptical about the consumer adoption forecasts. As a consumer I think I would buy an LTE tablet before that of a smartphone. I just don't find it compelling enough to consume content on the smartphone. Speed is not the most important part of a phone user experience. Battery talk time is most important, followed by data connectivity reliability and then finally content download time. 3G HSPA+ works pretty well if you are not in congested area and think the speed and price point are currently enough. When I want to consume content I am typically within the range of WiFi and this will work fine. Most tablets have larger embedded batteries and thus enable consumers to use LTE for longer periods. Don't be surprise to see Apple roll out a new iPad and iPhone that is LTE compatible on either carrier. Today, LTE phones are not compatible across carriers but I think Apple will be the first manufacturer to make one. The Verizon Droid 2 phone users are apparently having a lot of upgrade problems. Phones are freezing while typing text messages and Verizon is aware of the issue. Is this a Motorola, Android problem or a Verizon manufactured problem in order to get users to upgrade their phones and plans. Verizon does not offer much help to even long time customers for a new phone or an upgrade. 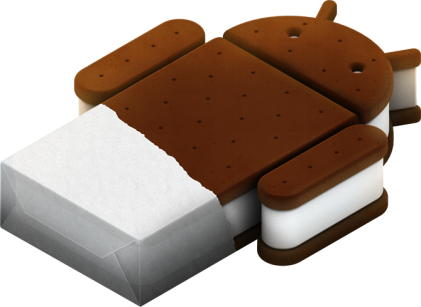 Here is some discussion about the Droid 2 tech problems and bugs at Droid 2 discussion forum. However, these discussion don't solve the problem for customers who just want their phone to work and are not tech savvy. As usual going into a Verizon store is horrible great experience as their arrogance handicaps their ability to solve problems for customers. Instead they would rather trick their customers into upgrading their phones when they don't want to. 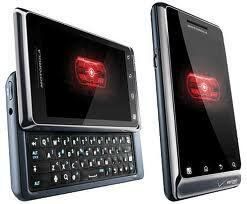 The specific phones having problems are the Droid MOTA956 model. If you bark loud enough you will probably get a new phone sent to you. False email email messages are going around again warning that a directory of cell phone numbers is about to be published and urges cell phone users to dial 888-382-1222 to list mobile numbers with the Federal Do Not Call Registry to prevent telemarketing calls. This is false and do not fall for the trick. There is not deadline and the rumor is false. To prevent this, call the following number from your cell phone: 888-382-1222. It is the National DO NOT CALL list It will only take a minute of your time.. It blocks your number for five (5) years. You must call from the cell phone number you want to have blocked. You cannot call from a different phone number. What should you do? You can do nothing or add your cell phone number to the National Do Not Call Registry. It's true that a few years ago, several of the wireless carriers providers established a universal cell phone directory, but the plan did not publish everyone's cell phone numbers for the public to see. They were also not "released to telemarketers" as stated above. The directory was to be made available only via telephone, only to those who dialed directory assistance and paid a fee, and only with individual wireless customers' consent. FindTheBest is an advanced consumer-friendly site offering feedback from primary data sources such as manufacturer websites, expert reviews, and public databases into an easy-to-use format to simplify the decision-making process. In any instance, you want to know exactly what to expect when purchasing smartphones, tablets, digital cameras, iPhone, headphones and laptops; some customers go out of their way to hand-pick the best piano-keyboard, too. Unlike other tech gadget sites, FindTheBest makes the buying process easy by comparing the latest smartphones reviews with its Smart Ratings given a normalized score based on favorable, mixed and unfavorable reviews. Each rating has a designated color to help in managing your research - green is for favorable reviews, yellow for mixed reviews and red for unfavorable reviews. Another well-suited tool offered by FindTheBest is its data-driven content platform (DDCP) that helps blend content from all of its resources to format information in an easy comparison for buyers. Anyone interested in finding reviews online can search the company's website, but it is important to identify your needs first. FindTheBest outlines phone specs and then allows you to compare prices of multiple wireless service carriers to help you buy the smartphone. Take your time in purchasing a great phone because the longevity and constant upgrades may incur more costs from your carrier. If you want the truth behind finding the best smartphone, consider visiting FindTheBest for all of your electronic reviews, star ratings and suggestions from everyday consumers like you. FindTheBest is a useful resource for everything from the best ski resorts to the latest laptops with 4GB RAM.